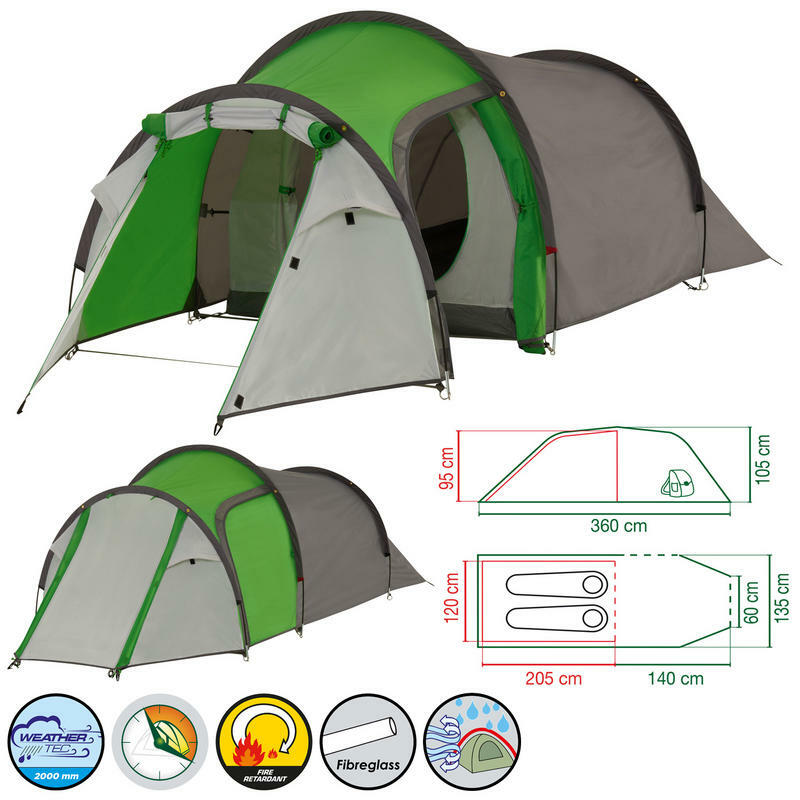 This range of quick and simple to pitch tunnel tents is the perfect choice for active and weekend campers. A great balance of comfort and performance with the spacious porch area providing plenty of room for gear, boots and on the larger models, a low-level table. Easy Set-up System - Spend as little time as possible setting up your tent thanks to the Easy Set-up system. 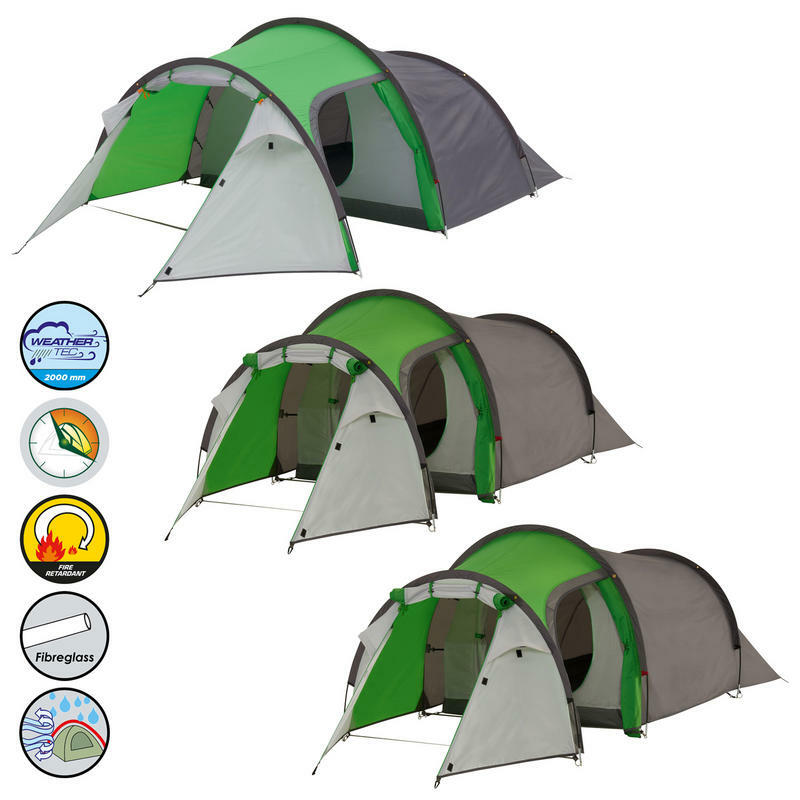 This range of quick and simple to pitch tunnel tents is the perfect choice for active and weekend campers. They offer a great balance of comfort and performance with the spacious porch area providing plenty of room for gear, boots and on the larger models, a low-level table. Leak-free Fylsheet Seams - Seams are taped to prevent water from entering the tent through needle holes. Protected Seams - Inverted groundsheet seams keep water out. Waterproof Groundsheet - Coleman's strong polyethylene groundsheets have welded seams, sealing out water. Water Column - A measure of the waterproof coating of the outer fabric of the tent. 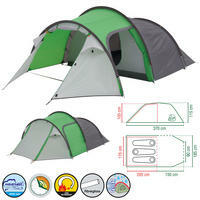 Easy Set-up System - Spend as little time as possible setting up your tent thanks to the Easy Set-up system. Every Coleman tent design is carefully considered at every stage. 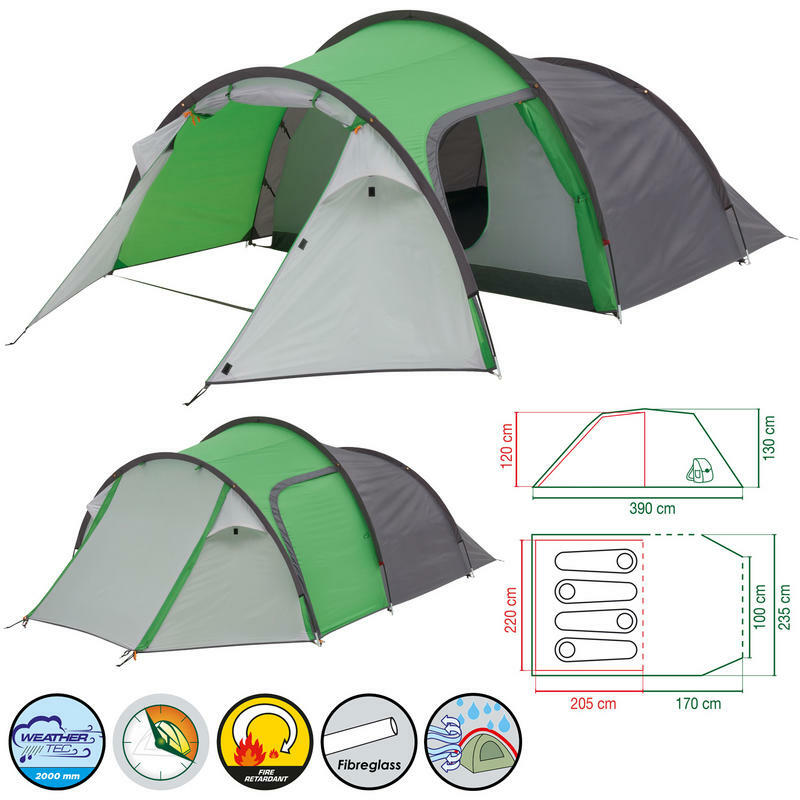 All tents include features designed to take the hassle out of tent pitching, including pre-attached bedrooms and colour-coded poles. Fire Retardant - Coleman's material ensures that the fabric will not flare dangerously out of control and will self-extinguish, giving time to escape in the event of an emergency. Fibreglass Poles - Highly flexible and lightwieght fibreglass poles guarantee a good response to wind and storms. Wind and Rain tested - All models are tested for wind and rain resistance. Groundsheet: PE - removable/Bedroom PE welded, fully integrated.